Welcome to the Rockin' heART blog hop. If you have come from the blog of Amber Gentry, you are on the right path. Welcome! The blog hop is a circle, you can start here and work your way around. Card stock – Pansy, Blush, Lagoon, Glacier, & White Daisy. 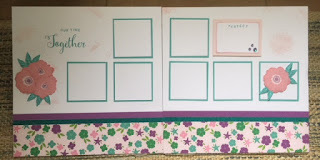 Card stock – Pansy, Blush, & White Daisy. Your next stop on the hop is Shirley Ross you can check out her awesome art work. Love your cards, the Star Effect technique is cool. I will have to try. And your layout is beautiful. Great projects Kim. I love how you stepped out of the box on making your card.